Postpartum recovery isn’t easy. While pregnant you are so excited to take care of your baby while they are still in your womb, and you plan for their arrival perfectly. 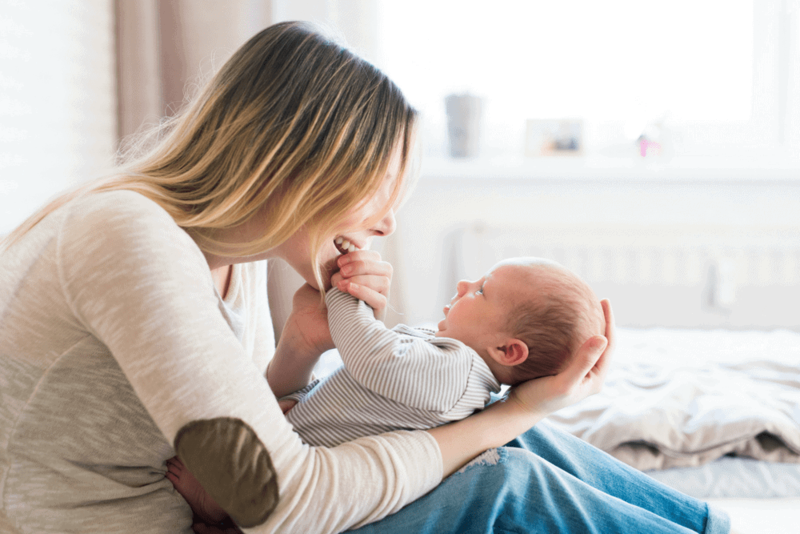 You prep the nursery, you brush up on all the baby care information you can get your hands on and even practice diapering the cat. But so many new moms forget to prepare for postpartum. 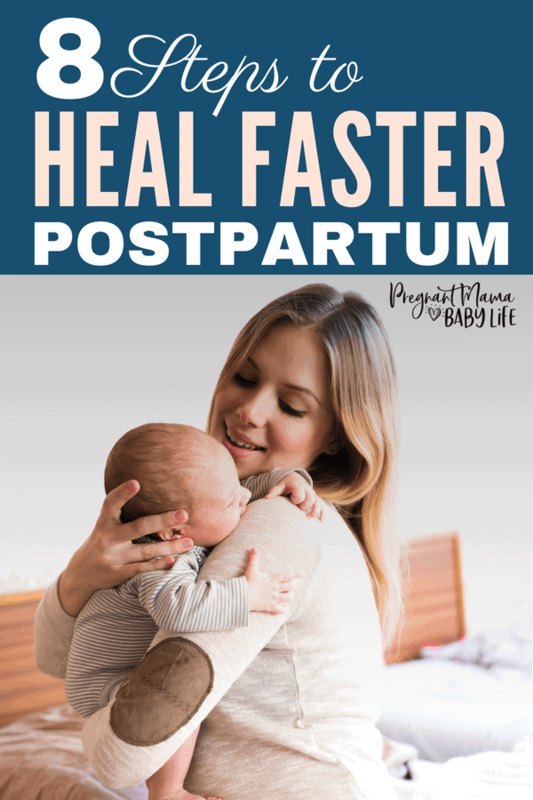 Here are some awesome postpartum recovery tips to help you heal your body faster after birth. This post may contain affiliate links to products we love. This means that if you click on a link and make a purchase, we may get a small amount of that purchase at no cost to you. You can read our full disclosure here. Healing begins with what you put in your body. You may be thinking that it’s not that important. But what you eat during this time will affect how well and how quickly you recover. The fact is, your body is able to do some pretty amazing things. Afterall you did just grow an entire human and then birth this new little (or not so little) baby. But, it does require some very specific fuel to do its job well. In my former life as a nurse, a big part of my job was to care for wounds. We had extensive, yearly training, and it always started the same. Wounds will only heal if you have the right nutrients. Calories are important, but nutrients are what actually help your wounds to heal. The nutrients and vitamins most essential for healing postpartum wounds are protein, vitamin C, vitamin A and zinc. Ideally, include lots of fruits and veggies, along with good quality protein. For protein, you can eat good quality meat, eggs, bean and rice or to make it really easy protein powder. 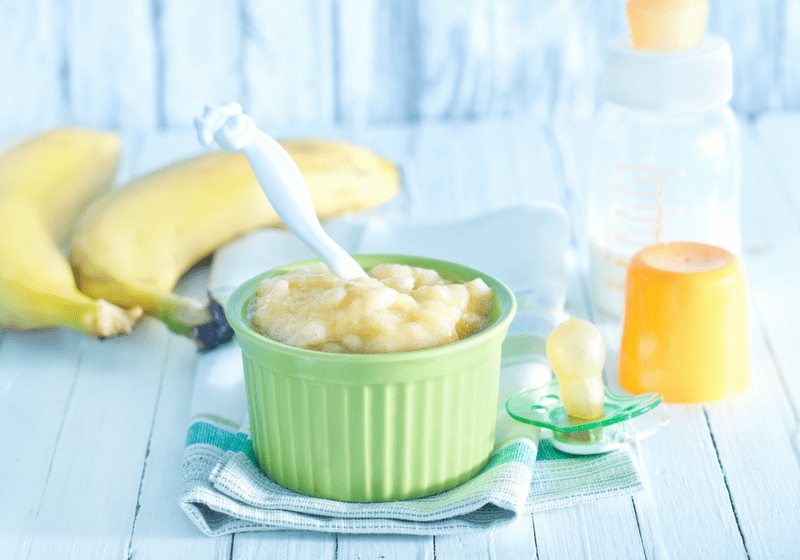 Read: Postpartum snacks to boost your milk supply and help you shed the baby weight. You may be tempted to skip out on your prenatal vitamin after your baby is born, but don’t. Your body is even more depleted now than it was before you got pregnant. Your body has been using a lot of its nutrition to build and grow your baby. Make sure that you have a high-quality prenatal vitamin. Now is not the time to skimp and get the cheapest brand. The one precaution to keep in mind when taking a prenatal vitamin, it’s not a substitute for good nutrition. So make sure you aren’t taking your prenatal thinking it’s a fix all pill. Another big nutrient to take during pregnancy AND during your postpartum period, is DHA with EPA. DHA is an Omega 3 that could possibly help you prevent postpartum depression. You can read more about the science of all of it here. It’s also an essential nutrient for baby’s brain development. So if your breastfeeding, you’ll want to make sure you’re getting plenty of DHA to help your baby be as smart as possible! Look for a high-quality supplement. I like these ones, as they are created specifically for postpartum mothers, and use small fish that are less likely to have high doses of mercury in them which means less contamination for both you and your baby. 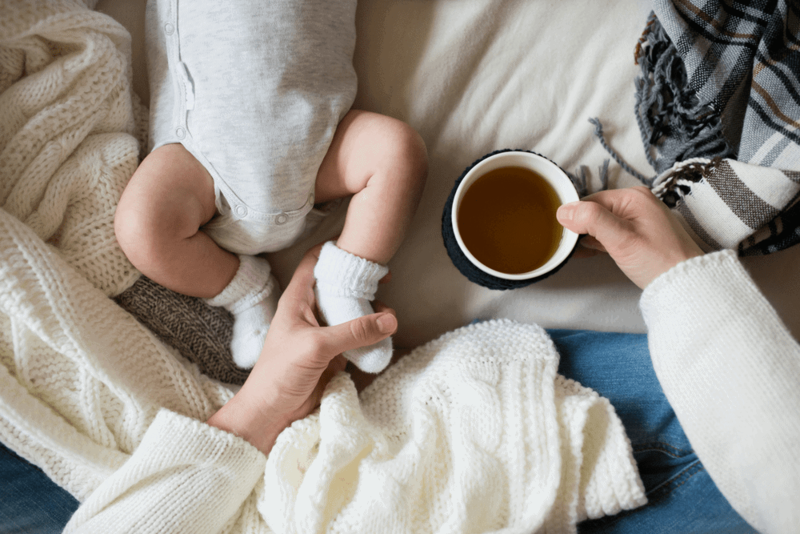 There are a few herbal teas that every new mom should keep in her arsenal. Red raspberry tea is the go-to woman’s herb. The benefits of red raspberry leaf tea include hormonal support and most importantly can help strengthen and tone the uterus after childbirth. This means that it could help shrink your uterus back to its pre-pregnancy size and help stop your bleeding quicker too. Mother’s milk tea is made from a combination of herbs to help increase your milk supply. This is great for new mom’s who are worried they may experience dips in their milk supply postpartum. You can read our full review of mother’s milk tea here. This is a personal favorite of mine. Chamomile is great to calm the nerve of new moms. It’s also useful to give baby a calming chamomile tea bath to soothe an extra fussy baby and get just a tiny bit more sleep. It’s great for there skin too! For a real treat, you could even try an herbal bath bomb made for postpartum recovery like this. Just make sure you grab a few to last you a few baths. One won’t be enough as this will probably be your favorite part of the day during your postpartum recovery! This is a sneaky one. So many moms have trouble with their abdominal muscles after having their baby and it goes undiagnosed for years. I personally knew there was something with my stomach but when I asked both my midwife and an OB-gyn neither one had any information for me. After tons of research, I finally found out it had a name. Diastasis Recti. If I had known I had it those first few weeks postpartum I could have saved myself a lot of problems. The thing with diastasis recti is that if your not careful, even simple movements like sitting up from bed can make your muscles heal wrong and affect your core strength. Here’s a simple test you can do to see if you have diastasis recti. If you do have diastasis recti, make sure to avoid exercises and movements that could potentially make it worse. This includes any type of sit-up movements. So instead of sitting up to get out of bed you want to roll to your side into the sitting position. Sit-ups can create more pressure and widen the gap. Instead, make a to-do list of exercises you can do to heal your gap. There are even specialty programs that are dedicated to helping new moms fix diastasis recti. Yes! Do it. Do lots of it. This is the time where you should be lounging in bed, resting as much as possible. Get your room set up to be super comfy, get a little bassinet to put next to your bed, and have lots of yummy healthy snacks and water ready at hand. Rest, sleep, snuggle your baby. Read, watch t.v. and surf the net. Give yourself permission to rest. No dishes, no housework, no cooking. Just time to heal and bond with baby. Enlist lots of help. Whoever you can get to help you. Family, friends your partner. Hire someone if you have to. Just find ways to rest without feeling guilty. I know there are some moms who say to use baby’s nap time as “me time” but you really do need rest to keep your physical and mental health in check. Find ways to have “me time” while your baby is awake. It won’t be as long or as uninterrupted, but it’s totally worth it. You’re going to want everything you need for your body at your fingertips. Find a basket or box that stores easily in the bathroom and pack it with any and everything that will help heal your wounds and bring you some relief. The absolute essentials are things like a peri-bottle and maternity pads. 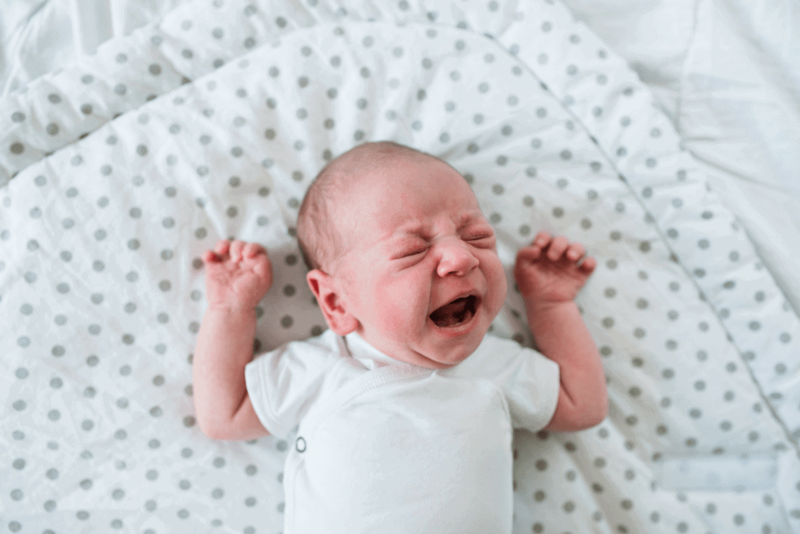 (Check out our review of the best maternity pads for postpartum) But there are so many helpful items that you’ll want to include in your postpartum healing kit. Drink so much water you almost think its too much. Are you feeling a bit sluggish? Drink water. Are you wondering if your milk supply is ok? Drink water! Walking by the sink? Drink water! Your body needs more replenishing than imaginable right now. It will not only make you feel better but also heal faster. P.S. 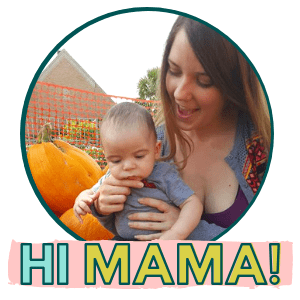 I recently got to check out this postpartum recovery program and it is AMAZING. This girl has it all figured out and set up a program that is simple and easy to follow, but works! She has laid out in an easy to follow order on what you should eat, what workouts you should be doing postpartum, how to lose the baby weight (healthily) all while keeping your milk supply up. She even has fantastic tips on how you should be carrying your baby to prevent damaging your core! This is info that every new mom should know.